Our new Revised 2015 eBook, named after our website - RV-Insight, is designed to allow you to have hard notes about various topics and discussions within our website. Honestly, much of it is a duplicate of our website. We've had several comments asking if we had this in a booklet form. When you are trying to discover everything possible about RVing, it is important to be able to take notes and highlight certain topics. We are offering our eBook for just that purpose. We know it took us a year to research as much as we could, before we made the final decision. Lots of our questions & answers will be illustrated right here! RVing will be a life changing experience! The great news is , it will be an awesome one - if you embrace it correctly. 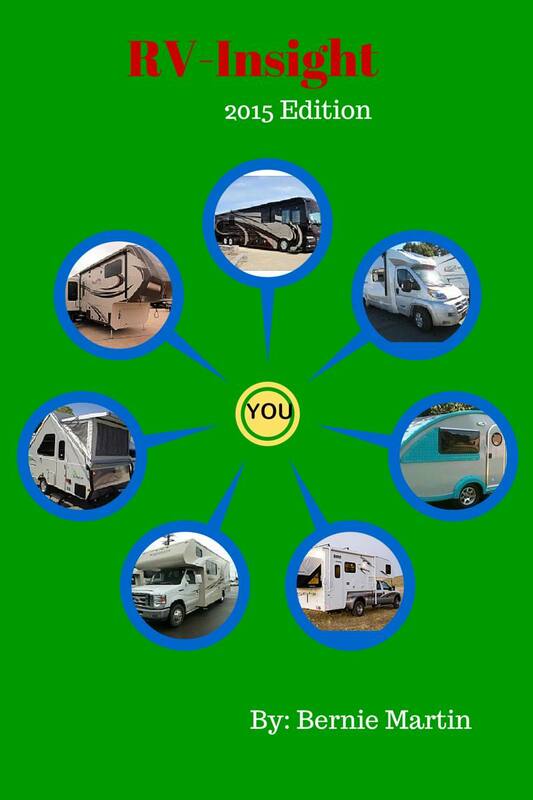 We want you to be happy with your decision about RVing. Getting all the possible information about RV Living and Boondocking, as an example, before you decide is what this is all about! As we said, it will be very similar to our entire website. However, we had people who are "thinking about RVing", almost there and those with no idea what it is really all about ask for a hard copy version of our website. In our particular case, all our research paid off - this book will enable you to look at RVing even quicker and with more help on questions and needed answers! 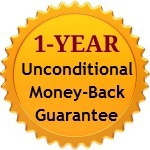 You are automatically protected by our personal, no-questions-asked, 1-year money-back guarantee! That's right...you have 12 full months to evaluate "RV-Insight", after downloading. If you don't find that this improves your RV knowledge and help you answer serious questions, just let me know and and I'll promptly give you a full refund. Consider it your 365-day trial to discover that you can learn everything necessary to help you make the best decision for you and your spouse - about RVing, completely risk free. Take a quick look at what this book delivers. Click the above image for a sample page. We are offering it for only $5.99. We chose to use a Publisher called "Smashwords" - I know, strange name - but an Awesome Publisher! They provided great help in correctly formatting our book for publishing, so that it can be downloaded in any format you like or need! We hope you'll enjoy our Book!